Fremont, Calif. – February 1, 2012 – Antec, Inc., the global leader in high-performance computer components, announces the High Current Gamer M series, a mid-range wattage class of hybrid modular power supplies. The High Current Gamer M series is an extension of the HCG PSU line issued in late 2010 but features hybrid modularity, allowing for cleaner systems by reducing cable clutter behind the motherboard. Antec‘s new desktop PSU series provides quiet, efficient power in 400W, 520W, and 620W models, accommodating casual gamers, home office and corporate consumers. The High Current Gamer M Series is the perfect combination of power and cabling that supply extreme levels of power and superb efficiency. Maximum Efficiency – As one of industry’s mainstream 80 PLUS® Bronze certified PSU, the High Current Gamer M series offers an ideal combination of industry-leading reliability, guaranteed Continuous Power and up to 87% energy efficiency to help reduce electric bills. Whisper Quiet – A simple 135mm two ball-bearing fan controlled by Antec’s renowned Thermal Manager and CircuitShield™ operates with minimal noise even at full load. Premium Components – High Current Gamer M employs 4 fully-protected High Current +12V rails with high load capabilities to ensure maximum CPU and GPU compatibility. It’s designed with 100% Japanese capacitors, ensuring maximum DC stability and regulation. It also offers stealth wires for minimal visibility inside the chassis and a 10-pin modular socket for High Current Flexibility. Safety Precautions – Patented Circuitshield™ includes voltage, current, power, under voltage, and short circuit protection which automatically shuts down the PSU to prevent further system damage. All HCG-M power supplies are covered by an Antec five-year parts & labor warranty. The HCG-M PSU series will be available in the US on Newegg, ASI, Ma Labs, Amazon, J&R and Buy.com and in Canada on NCIX and Canada Computers in early February. Antec continues to push the industry to its limits with many state-of-the art products like the Mini-ITX-made enclosures, the ISK Series, and the functional, efficiently cooled Eleven Hundred gaming enclosure. 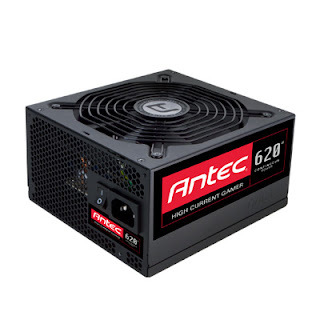 Antec has also furthered the PSU market with the environmentally-safe EarthWatts Series, the office-friendly VP Series for efficient, quiet power, and the gamer-specialized HCG and HCP Series for hours of reliable, continuous power. soundscience, a subsidiary of Antec, Inc, was created to manufacture audio and video-enabled lifestyle products, such as the soundscience rockus™ 3D | 2.1 speaker system, for the PC and home entertaining markets. Founded in 1986, Antec is headquartered in Fremont, California, with international marketing headquartered in Berlin, Germany. Antec has additional offices in The Netherlands, China and Taiwan. Please visit Antec online for more information. Follow the official Antec Facebook page http://www.facebook.com/AntecInc for event updates or visit the Antec blog at http://blog.antec.com/.